We visited Moliagul on the weekend. I will post some of the photos when I have time to process them. We stayed at the Evans Hotel in Bealiba, about 10 minutes from Moliagul. It was the first time Glenys my wife, and myself have stayed in a Hotel. The hotel was built in 1856 but has been well maintained and was very clean. There was a birthday party on for one of the locals so the hotel was almost empty and we were their only guests for the night. We had a very good meal and was well looked after by Bob and the staff. We were asked to attend the local church service at 8 am, so I got up at 5:30 am, left Glenys in bed and took some more photographs in Moliagul. I returned at 7:30 am and after a quick breakfast attended a very enjoyable service at Bealiba’s small Anglican Church. I met up with a local historian and a retired photographer, both offered their help with the PIM photobook. I look forward to getting some photographs of John Flynn as a child. We have just received our first order of photographs from the National Library. The raw images are in the above slide show. I hope to enhance them to their original glory. The resolution is a bit lower than what I would have liked so we will have to change the style and or the layout of the book a bit to compensate. I won’t know until I actually print out some proofs. I think I am being a bit spoilt by the 21 megapixel images from my Canon 5D mkII. I have planed to go out on patrol with Rudi Schwartz toward the end of the month and will post some new photos of that trip when I return. Well all, its time for a pretty Pic! This is my draft layout for the cover of the book. The final layout will be different to this (the entire cross design will be reworked and probably different photos). Welcome all to our book blog on the work started by John Flynn. Firstly let me introduce myself, my name is Wade. 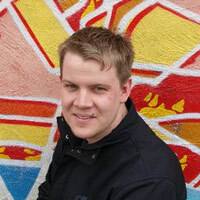 I am the manager of www.designministries.com.au and I am only one of a few people that are working on this project. My primary job is to manage the designwork. 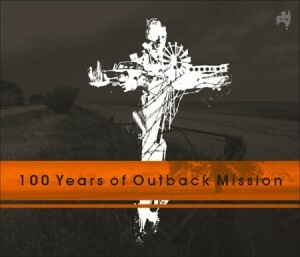 By the end of 2011 we hope to have printed a tabletop photography & art book celebrating “100 years of outback mission”. Especially the work of John Flynn and the patrol teams of the Presbyterian Inland Mission. John Flynn was an avid photographer and the book will feature many of his photographs, not in their faded or scratched condition but professionally restored to their original glory.